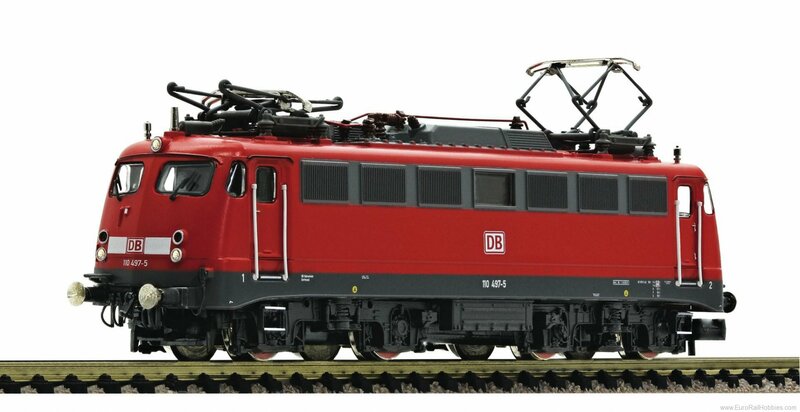 Electric locomotive BR 110.3 of the Deutsche Bahn AG (DB AG). Epoch V.The model is equipped with a built-in load sensing decoder and true to the original sound functions from factory.Metall die-cast chassis. Motor with flywheel. Drive on four axles. Two traction wheels. Coupler pocket according to NEM 355 standards and close coupler motion link.LED triple headlights and red tail lights that change with the direction of travel.